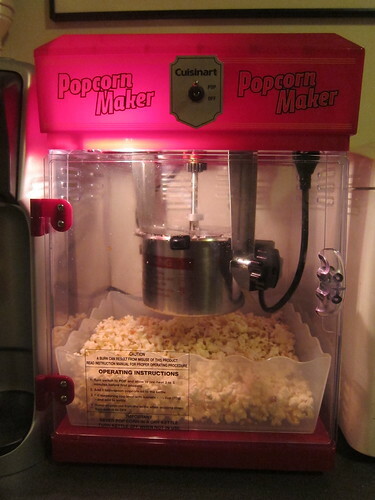 Our new popcorn maker - it's all Caitlin's fault. Awesome! I see lots of movie nights in your future. The popcorn it makes is pretty good too, even without the special lurid yellow movie style butter flavoured salt stuff which one is apparently supposed to use. I love it! My bench space is already lacking. Something like this would leave me with nothing left! Love it Mim. I am also jealous! Luckyyyyyy! I would love to have one of those! !